There are several trains from Paris, Bordeaux, Lyon to come to Biarritz. For schedules and make reservations, you can click here. 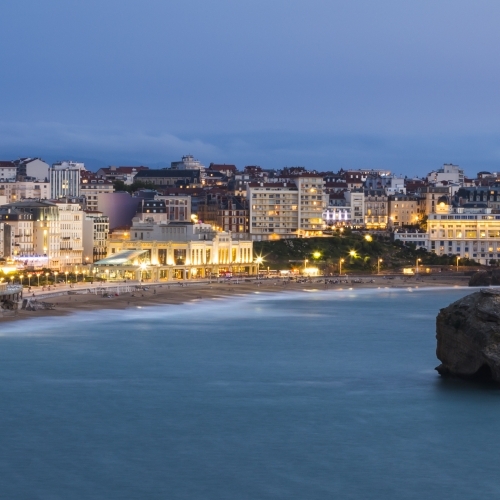 Biarritz train station is just 15 minutes from the Congress Centre and Exhibitions - The Bellevue by bus number A1. You can take it at your expense from the train station to Biarritz stop: "Mairie - Edward" (stop 50 meters from Bellevue). Free shuttle service is organized between Biarritz Airport, the Bellevue and the Hotels. Please note that any transfer or transfer outside the schedule established by the shuttle service will be the responsibility of each participant. COMEXPOSIUM SAS will take in charge your guests’ transportation fees (by airplane or train) after the event. The refund is available to participants who attended (except accompanying persons), within the limit of €235 including VAT per guest. Are not reimbursed: parking tickets and mileage allowances. After the event, a refund module will appear on your secure online platform. Are not reimbursed: parking tickets and kilometric allowances.